The Foreign Me! is a well written meditating poetry book relates to Afrikan identity, culture, environment, humanity, racism and the Second World War events. It primarily relates to the injustices that her forefathers went through during days of slavery, apartheid system and the importance of the Afrakan Colonial Soldiers Of World War II. The theme of the book is to reveal the circle of the black world that was buried in time by the light skinned. The Foreign Me! is a collections of pieces including "Moment of Weakness", "Nothing of Me", "Perfect World", "Am I A Rebel? ", "Xo Dlozi! ", "Bloody Poems" and others. 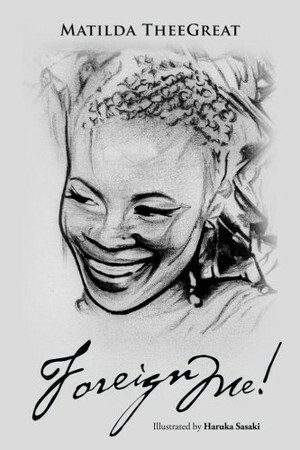 Matilda TheeGreat is a poetess, writer, artist and an activist. She describes/defines herself as the dead amongst the living because she represents million voices of her ancestors who suffered crucifixition during the days of slavery and World Wars. She reveals the hidden black world that was buried in time by the Caucasians.